Hi lovelies! Well, this is the last day of September and I wanted to end the month on a beauty note. Monday, I received my Starlooks September LooksBook and I have been playing around with it for the past couple of days. 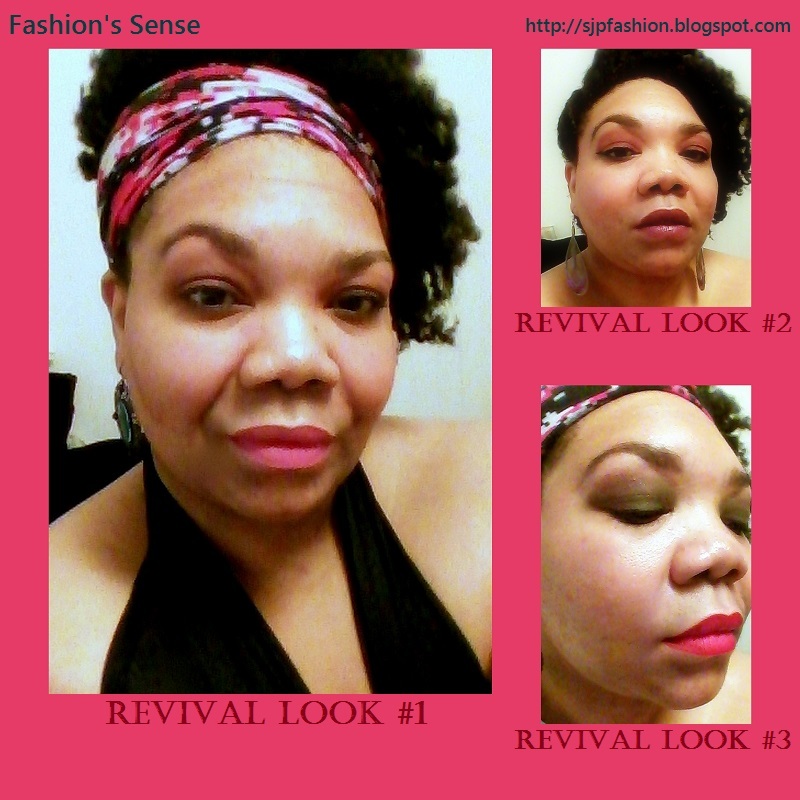 To be honest, I love the versatility of this LooksBook and am totally ready for a beauty Revival! If you haven't read my review for the Resort Edition, then let me advise that each LooksBook has a theme. 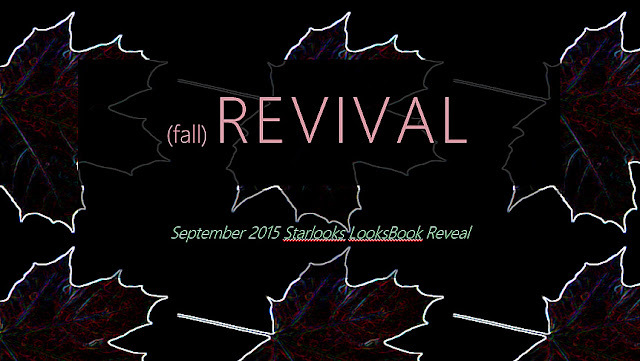 For September 2015, the theme is Revival. 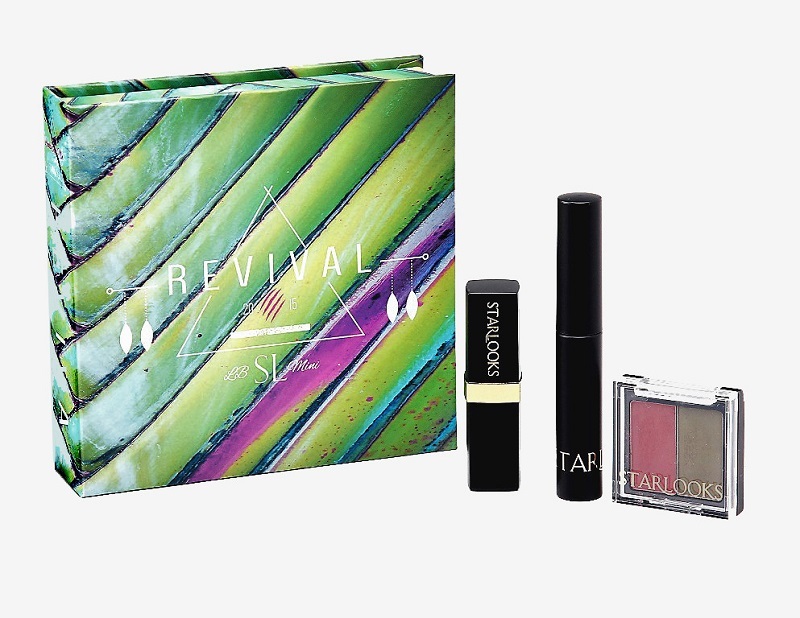 Now the word Revival and fall (the season the box is introduced) don't really make much sense do they? However, Starlooks tries to make it work. They equate life to an urban jungle as a segue to using earthy colors one might find in a jungle. The beauty selections are a way to bring back a revival and connection to nature/earth after dealing with this urban jungle called life. The explanation is longer than this but that is the gist of it. It's a tad far-fetched in my opinion but I give them a C for trying to make that urban jungle rationale work. Agave -- The mini matte eyeshadow duo of Revival. Features a wine and dusky moss green shade. Flora -- A mascara mini in a dark teal, very close to a navy-looking shade to make your eyes pop (if you are fairer in complexion)! Rawr -- A bold, soft matte pink shade. Looks similar to my Chirp matte in Shocker but not as intense. Coincidently, it is right on time for Breast Cancer Awareness Month. Here is where the theme of the book could have worked for the season. Pay attention Starlooks marketing department. This fall, colors are bolder and brighter than they have been in past fall seasons. Therefore, the Revival theme should have been about a revival of color making a bold and brighter statement for fall instead of being subdued and dark. As I explained in my review of the Resort Edition, there is a tips booklet giving you a look to recreate from the products. Now, I do have to warn you. The eyeshadow shades they show on the model are not the matte shades in the LooksBook. If the Agave eyeshadow duo was used it was used with another eyeshadow or specific primer that added shimmer/shine to the finish of the colors. What you see in the booklet is not what the eyeshadow duo will give you on its own. Beyond the faux pas on the tips booklet, you can still apply the eyeshadow as suggested and come out with a soft, matte smoky eye. Always keep in mind that your skin color and undertones will cause shades to appear differently on you. For my coloring, the Agave duo comes across as smoky and subdued. The shades blend together into an earthy gradient of brown with a hint of green and wine. Be warned that if you are of my coloring you could end up with this effect. I suggest for an eye look that has depth, add another shade to create a color gap like a gold, silver, or blue shade. So lovelies, which beauty look do you like the best? The look that gets the most likes and/or comments I will give a tutorial on to show you how to achieve it.